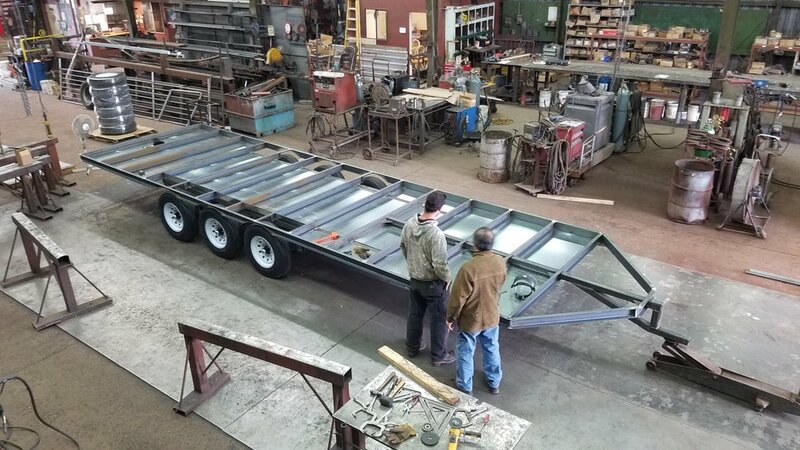 It starts with a steel three-axle trailer foundation. The trailer walls are made of steel studs. Our 20-gauge, cold-rolled computer generated walls are lighter, eight times stronger and far superior to a typical wood structure. And, steel is free of warping, dry-rot and termites. 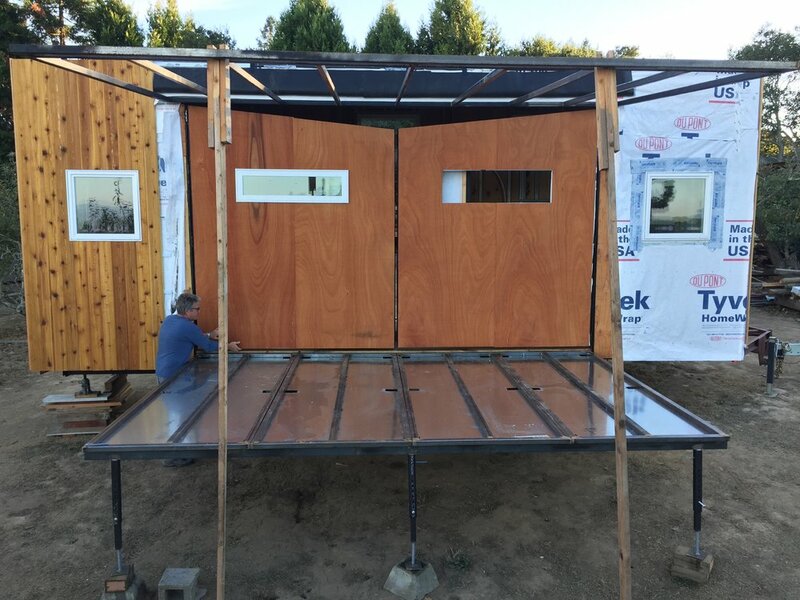 The 10-Foot x 15-foot fold-out area is constructed with steel tube framing, the same type used for our trailer foundation. It creates a durable, foldable, and moveable space. Best of all, Wing Suite tows with a three-quarter to 1-ton vehicle and weighs about 14,000 pounds. Set-up involves simply driving to your location, lifting the hydraulic roof into place, and installing the floor panels. The folding side walls open like large doors. The three front door panels are then set into place. With two to three people, this process only takes about four hours.